Sky News has a story running today about some 10,000 legitimate websites having their Google search details hacked by 'dodgy' payday loan companies, in an effort to increase their search rankings and push vulnerable people to their pages. I have just spoken with Sky News, because, it's not just websites that are being attacked, it's weblogs too. 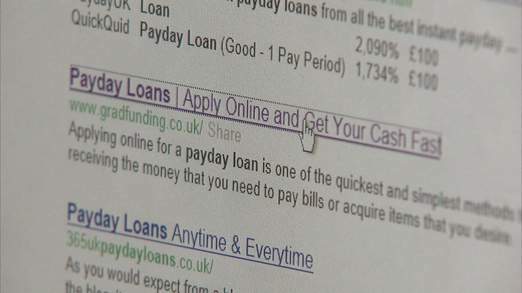 Over the past few weeks, ThanetLife, because, quite possibly, it has a community element in a deprived area, has seen a concerted effort to leave comment spam, directing readers to fraudulent payday loan companies. You won't have seen any of these, as I block these 'shark attacks' immediately but the attempts seem to be becoming more energetic and the comments written in better English, in an effort to slip by. I have had a chat with Jason Farrell at Sky News and he thinks that the comment spam may be coming from the same company but the targeting, of a vulnerable community, here in Thanet, by coincidence or by design, is absolutely reprehensible. I will bringing this to the attention of Sir Roger Gale. There's a website with supporting 'Apps' for iPhone and Android called www.scam-detector.com which keeps you up-to-date with the latest frauds, internet, phone and so on. So if it sounds dodgy, you might find it described there already. I do try, from time to time to add an educational aspect into my writing and particularly on the economy, as you may have noticed lately, as I tried to describe how the Gold Standard, inflation and even the crash of 2008 actually happened and not the myths surrounding it. I would like to think that members of the Labour group, here in Thanet, read some of this weblog from time to time, if only to help correct some of the myths they so firmly accept as facts and then peddle-on to their communities. There was a small ray of hope on Thursday night, when Clive Hart, conceded, that there was a difference of opinion, over whether the economic crisis was the fault of politicians or bankers or even both. This didn't prevent the Labour Cabinet lambasting the Conservatives for giving tax breaks to the rich. David Cameron made a speech on global tax reform at the World Economic Forum in Davos this week. Much like that moment of insight that comes when socialists realise that 2+2 does actually add-up to 4, we have to accept that the tiny group of super-rich remain generally remain outside the reach of governments, thanks to the Swiss-cheese nature of tax law. The great majority of despised 'rich people'; the likes of headteachers, local government executives, senior police officers, bankers and doctors, among that 10% who make-up over 60% of the country's income tax revenue, need to be left income they can spend freely, to stimulate the growth of the economy, rather than hand more of it to government to pay off debt; it's a balancing act not an argument. For those on Thanet's Labour seats, who dream nostalgically of former Albania and North Korea, we really do need to accept that the range of wealth in any vigorous society, should follow the classic bell-curve of statistical distribution. Tamper with it and the economic model starts to collapse. The Conservatives reduced the higher rate of income tax, not for any selfish reason but because, strangely enough, they agreed with the former Labour Chancellor, that it was a sensible, pragmatic stimulus decision for a struggling economy, crushed by the weight of consumer debt. Now UKIP and the Conservatives are no longer fighting toe-to-toe over our place in Europe, Nigel Farage is going after Ed Miliband in today's Mail on Sunday. Among the topics, Labour's ignoring the 'vast potential problem' of uncontrolled European migration from Bulgaria and Romania, later this year. As without any doubt, Thanet, and Dover may be among those councils benefiting from yet one more ill-conceived European decision; it's inevitable, I wonder what view Clive Hart and his Labour administration has to say on the subject and perhaps more importantly, what steps our Council may be taking to anticipate greater pressure on our local services? It's bound to figure as an issue in the forthcoming County Council elections in May. According to Twitter, Clive and others are out delivering leaflets this weekend, so perhaps there's an answer revealed there? To finish, some local news. I've found a nice local photo site, Thanet Skies on Tumblr and the former St Clement's hotel (Proprietors Lt.Colonel and Mrs Hugh Marr, Telephone Westgate '36') is for sale and having its roof repaired. I have been in touch with the Council's conservation department to keep a friendly eye on this local landmark, which I'm told is being turned into two dwellings. I find it odd that HMRC do not stop the holes in the tax laws I have said it in the past and no doubt will say it again HMRC is unfit for purpose. About 300 spam comments on the Thanet Press release blog yesterday about 100 of which got through the spam filter, I think that is the worst I have had on that blog. I have noticed that I tend to get waves of spam directed at either that blog or Thanetonline which only got about 20 yesterday and about 10 got through the spam filter which is a higher proportion getting through than usual. I have mitigated the situation considerably with thanetonline by disallowing comment on old posts that seem to attract a lot of spam. This has also reduced the traffic from dubious sites like internetsupervision this shows up in a monthly page visits fall from 60,000 to 58,000, extrapolating the various figures I still think that about another 3,000 visits a month come from dubious sources. If you manage to get anyone to look into the problem I would be happy to cooperate with them Simon. Surely the local Labour administration will welcome an influx of thousands of Bulgarian and Romanian gypsies into Cliftonville. Locally they have already started preparing to accommodate them by using the £21M meant for regeneration to provide even more second rate housing rather than provide accommodation for real human beings. This will inevitably drive away those that we so desperately need with a few brain cells who might possibly vote conservative and ensure the ongoing survival of Labour control of TDC; ie Hart and his puppetmaster Johnstone. Simples. Simon, you ask what will the local Labour admistration do about an influx of immigrants. They will fret about whether these immigrants satisfy their Labour diversity criteria. They do not care about much else.